Contains series 1, 2 and 3 and also features never before seen extras including audio commentaries, behind the scenes footage and trailers. A must for fans of this brilliant comedy. Black Books concerns the musings, doings and time-frittering techniques of addled proprietor Bernard Black, his shy multi-challenged assistant, Manny Bianco and their under achieving friend, Fran Katzenjammer. This dubious trio form a family of sorts to protect each other from the realities of Modern London, but nothing can protect them from each other. 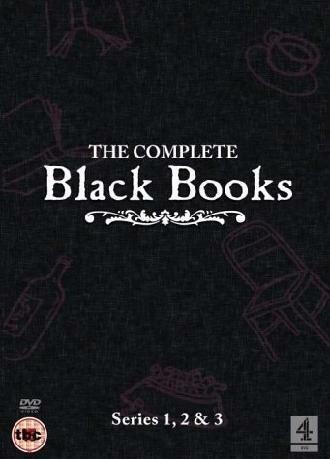 Starring Dylan Moran, Bill Bailey and Tamsin Greig, Black Books is a haven of books, wine, and conversation, the only threat to the groups peace and prosperity is their own limitless stupidity.